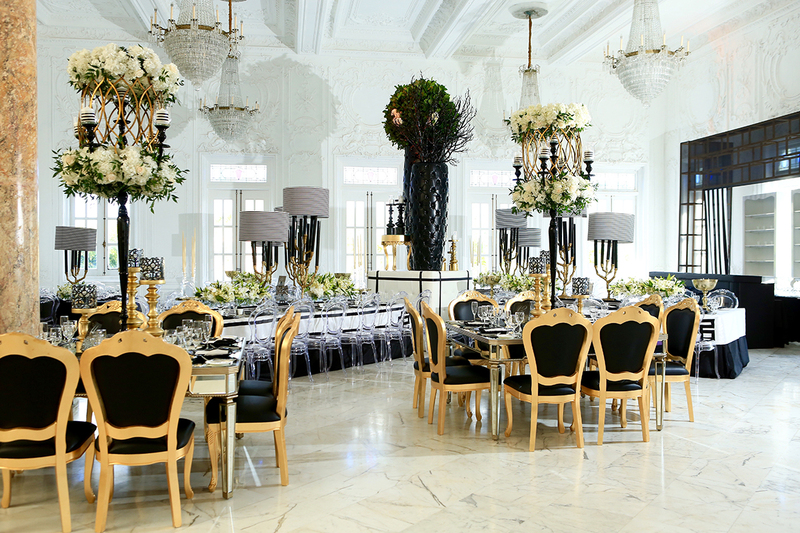 The original concept came from the bride who dreamt of having an opulent wedding. 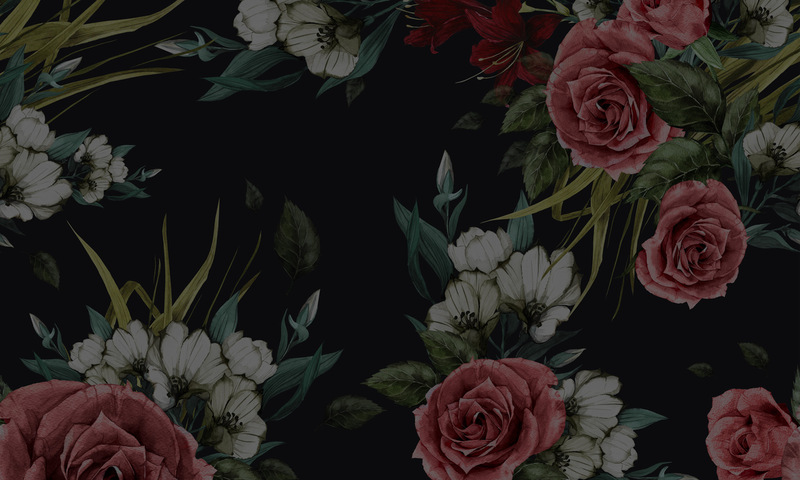 She wanted to establish a logo for her invitation that incorporated black and gold. As we further developed and refined the concept we landed on Art Deco as a perfect vehicle to reach the final product. 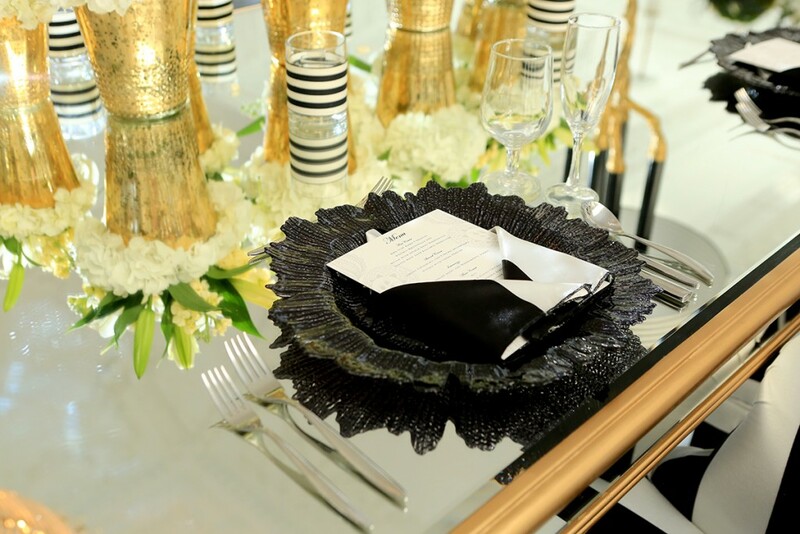 The color scheme used for the wedding was: white, black and gold, implementing stripe patterns. The wedding had many personalized elements. 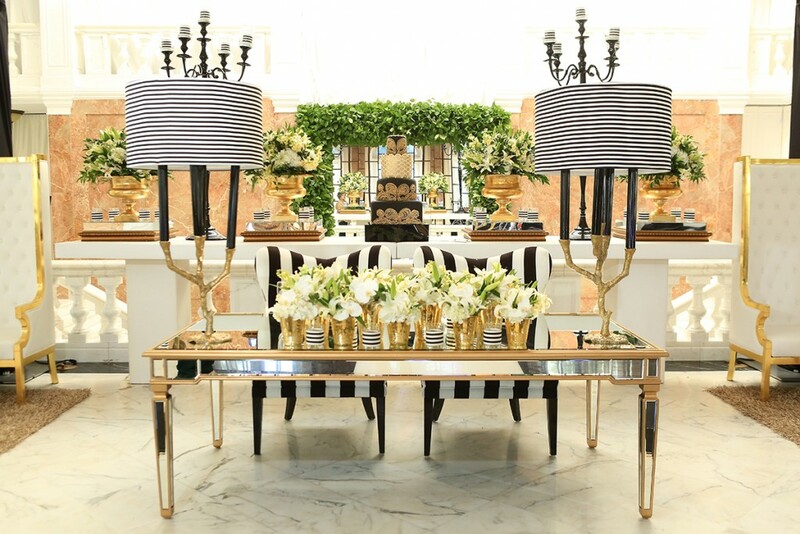 We custom made table linens and couture décor for imperial tables, designed lamps with bronze trunk stands and velvet striped shades, monumental columns with black satin ribbons, candles with black and white stripes, and mirror tables with gold molding. Some of our favorite elements were the giant columns with buttons that were located in the center of the X shaped imperial tables. 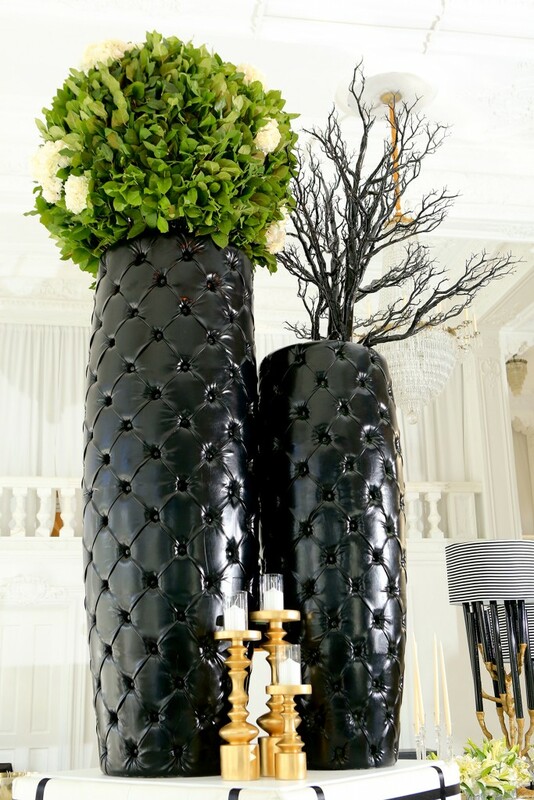 Creativity sparked when we decided to transform end tables into candelabras, and placed a framed mirror with natural leaves as breath taking welcome piece. 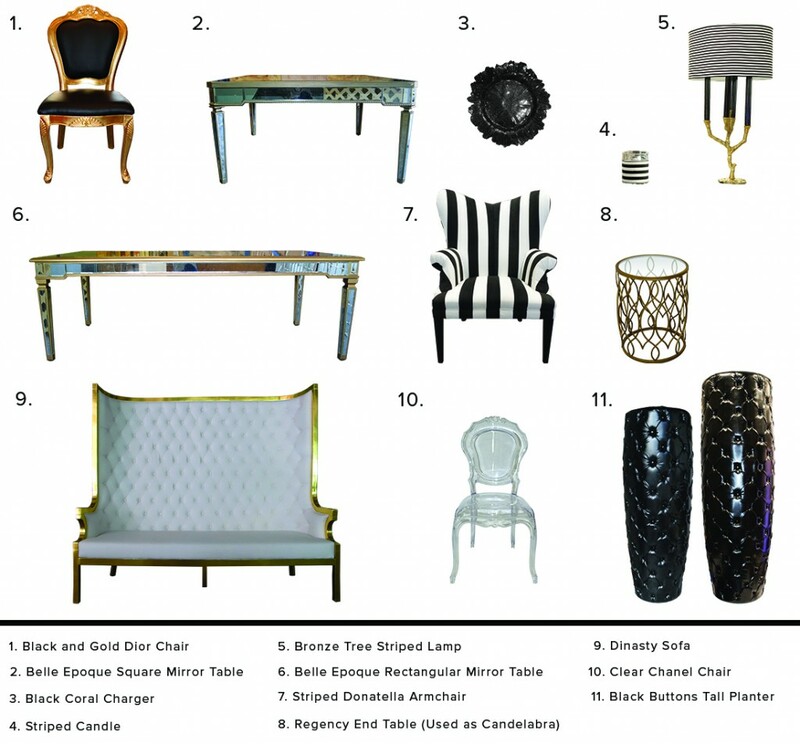 During the planning process the arrangement of the tables in the designated space became an issue. For this we employed our graphic designer to create a digital 3D scale model of the Antiguo Casino to test different layouts until we found the perfect one. 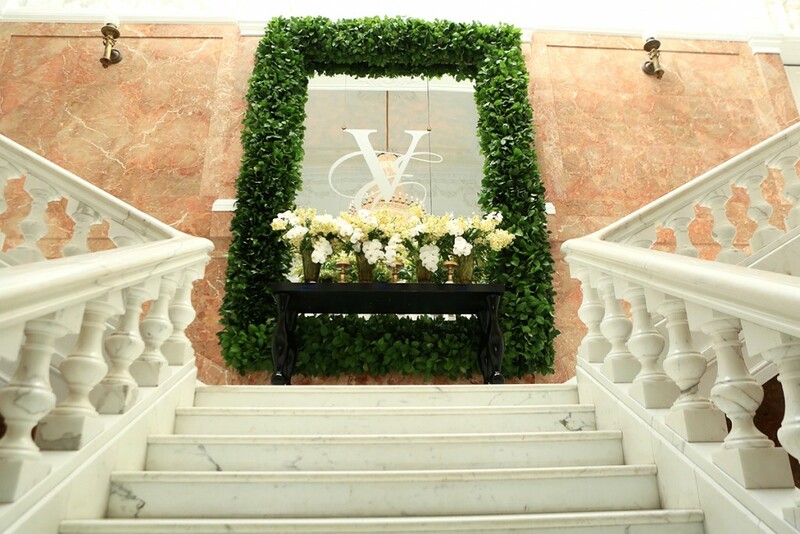 The setup and production process took around 24 hours with a group that consisted of designers, florists, builders, and setup coordinators. The final product reunited all of the elements that the bride always dreamt of having on her special day. 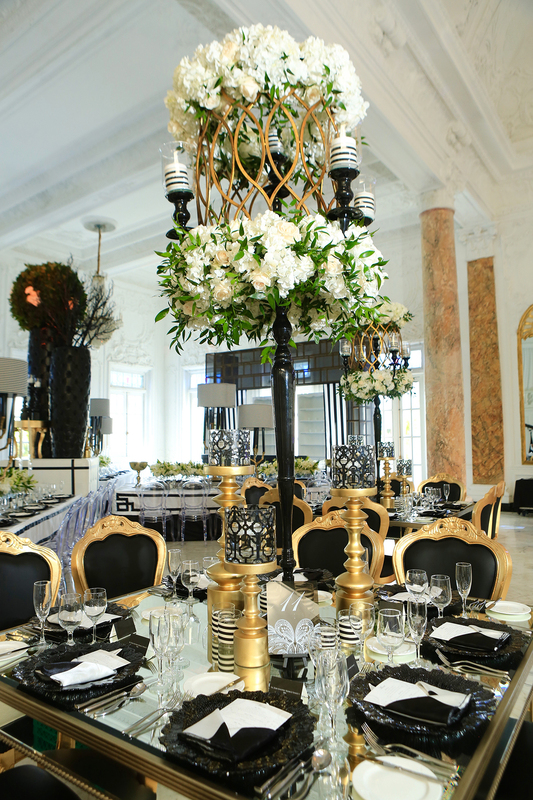 Unique statement pieces and perfect design, turned this wedding into an avant-garde décor.